This year, why not take a Norwegian approach to Easter? That’s not as odd as it might sound – the name itself likely has its tangled roots in Old Norse – via Austra, a pre-Christian goddess. But there’s no need to go all pagan about it, celebrating Easter the way we do in modern-day Norway is a lot more fun. So brace yourself for a holiday spent diving headfirst into piles of snow, eating your bodyweight in oranges and chocolate and scaring yourself silly with a crime novel as the dark night closes in on your lonely, mountain cabin. What a wonderful time it is, the Norwegian Easter vacation. 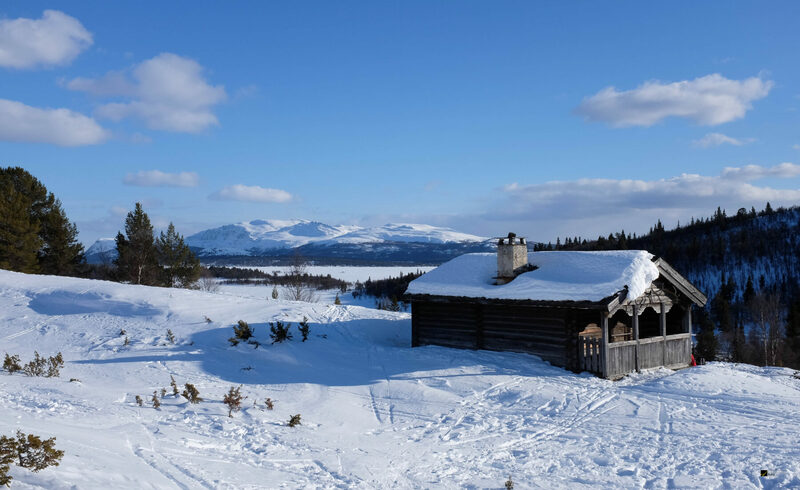 Many Norwegians have more than a week off work, and most of them head for their hytte (cabin) on the freezing mountain, in the deep dark woods or beside the sea (where, as like as not, it’s raining – especially if you’re somewhere on the west coast). The wintry conditions shouldn’t put you off, though; just remember the saying: Det finnes ikke dårlig vær, bare dårlige klær (‘There’s no such thing as bad weather, only bad clothing’) because in Norway, Easter – like most holidays – means that it’s time to get outside and surround yourself with nature. In Norway, skiing is the most common outdoor activity during Easter. Every year, thousands upon thousands brave the blizzards and head for the snow-capped mountaintops to pit their skills against the snow. To make sure no one get lost on the slopes, the Norwegian Red Cross has compiled a few official rules that everyone hiking or skiing in the mountains need to know. Fjellvettreglene (‘the Mountain Wisdom Rules’) include: ‘Never leave home without letting someone know where you’re headed’, ‘Always wear appropriate clothing’ and the most important: ‘There is no shame in turning back’. Every Easter since 1972, Norwegian broadcaster NRK has done its best to remind the nation of the perils of ignoring the guidelines with a series of short films. These chronicle the assorted outdoor mishaps of Severin Suveren (‘Severin the Superb’), a breezily confident Norwegian who disregards every rule in the book. For example when he goes skiing alone, without a map or compass to guide him, and promptly gets lost in a snowstorm. Then he suffers the worst fate imaginable for a Norwegian – no, not dying alone in the icy wilderness, but having to be helped home by some passing Danes. There is a saying in Norway that Norwegians are born with skis on their legs. And it can certainly seem like it’s true: Norway does have a tendency to come home with a sizable stash of medals after the Winter Olympics. If you visit a mountain in Norway over Easter, you’ll probably encounter Norwegians of all ages, sliding past you as though skiing is the easiest thing in the world. However, every now and then, you’ll come across a Norwegian on the ground, flailing in the snow, skis akimbo. But even if they’re furious about it, chances are you’d never know, because this is where one of the most important unofficial rules of the outdoors comes into play: Ut på tur, aldri sur – ‘If you go hiking, you’ll never be in a bad mood’. However, not all Norwegians embrace winter sports with the same level of enthusiasm. Some prefer to stay at home in their cities and villages. In parts of Norway, a peculiar tradition has emerged from the surfeit of leisure time over Easter and the fact that no alcohol is on sale during the holiday week. On Maundy Thursday, the roads near the eastern border become clogged with cars as young Norwegians hit the roads and head to the Swedish city of Strömstad to buy cheap alcohol and party like there’s no tomorrow. Last year about 15,000 Norwegians participated in this emerging Easter tradition, which Swedes have come to call ‘the Easter invasion’. Whether they’re on the mountain or in the city, almost all Norwegians partake in one common Easter custom: the food. The day invariably starts with a breakfast consisting of something involving eggs. In fact, Norwegians eat an astonishing amount of eggs during Easter alone. Not even chocolate eggs, but the standard hen-made variety. In 2011, Norwegians consumed over 35 million eggs over the Easter holiday, which for a population of five million, amounts to seven eggs each. 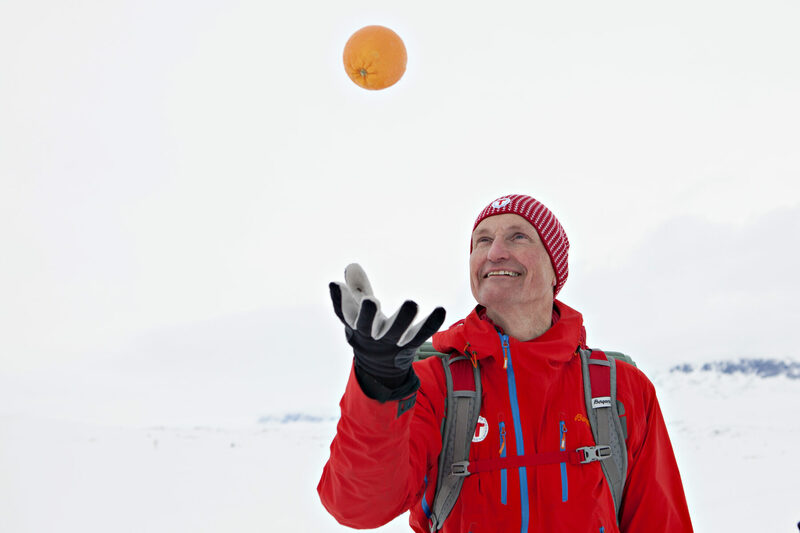 Oranges are another Easter dietary essential, and every skier worth their snow will have a few stashed in their rucksack. For a Norwegian, there’s nothing that feels more Easterish than air-drying your hands in the crisp winter wind after peeling an orange. Next to the fruit, they’ll probably have a Kvikk Lunsj, which to the uninitiated, might look like a KitKat, but any true Norwegian will know the difference at the first bite. Made since the 1930s, Kvikk Lunsj represents a chocolaty passport to the past for millions of Norwegians, evoking snow-sprinkled childhoods and the joy of an Easter spent out there in nature with family and friends. Nostalgia may well be a national pastime: over Easter in 2014, Norwegians bought 1,900 tons of Kvikk Lunsj. Not literally, obviously. But given that one of the main aims of the Norwegian Easter is having a koselig (cosy) time, it wouldn’t be complete without curling up on the sofa under a thick woollen blanket and losing yourself in a bone-chilling tale of crime. Either read in a book or watched on TV, påskekrimmen (‘the Easter crime’) is a bona fide modern-day Easter custom. The tradition started with the book Bergenstoget plyndret i natt (‘The Bergen Train was Looted Tonight’), a 1928 crime novel by Nordahl Grieg. The book soon became a huge success, and every Easter since then Norwegians have looked for something to set their pulses racing. In tribute to this trend, Norwegian crime writers often choose publish their books a few weeks before Easter, and every year the two biggest TV channels go head-to-head in a broadcasting battle of which can showcase the best new crime series. The crime tradition has grown so popular that the largest dairy cooperative in Norway, Tine, even marks it on its milk. Over Easter a family-friendly crime mystery covers the cartons, and households all over Norway try to solve it over breakfast. It’s by no means a cheap gimmick, either; for the last couple years, the Easter Mystery has been written by renowned crime writer Gunnar Staalesen.